Meet Laurel, an eldercare and dementia specialist who…. Is knowledgeable about all aspects of the eldercare system and how it works.. Understands your stressors and the pressures of being a family caregiver…. Laurel Etheridge is a certified Professional Geriatric Care Manager who has devoted the last 30 years of her career providing care and services to older adults and their families. Laurel began her clinical career as a Certified Recreation Therapist (CTRS) working with older adults in hospital and rehab settings. Since then her career has covered the full continuum of care including skilled nursing, assisted living, adult day care, Alzheimer’s care, home care, and the PACE model of care. 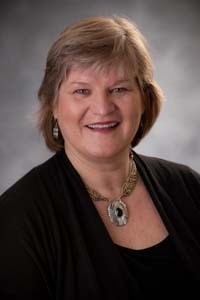 In 1995 the Institute on Aging in San Francisco hired Laurel to be the first Center Director of their PACE program (Program of All-Inclusive Care for the Elderly). This was a collaboration between the IOA, the UCSF Medical Center, and On Lok Senior Health (the original PACE program). Laurel was responsible for overseeing the plan of care of over 100 elder members. The program, centered around a day program and clinic, was designed to help elders remain in their homes and communities She was the leader of a true interdisciplinary team including physicians, nurses, social workers, physical, occupational and speech therapists, as well as UCSF medical students doing their geriatric rotation at the program. The team gathered every morning to discuss interventions and allocate resources to the elder members. After leaving the IOA in 2001 Laurel served as Executive Director of Senior Access. At that time Senior Access was Marin’s only Adult Day Health and Alzheimer’s program. When it was time to move on from Senior Access in 2005 Laurel was hired as the Director of Eldercare Service’s San Francisco division. There she built a thriving Care Management and Home Care division for the Walnut Creek based company which informed the work she does today in her own practice. True to her non-profit background Laurel devotes a portion of her time to pro bono work with low income elders who have little in the way of family or support systems. Aware of the fact that not everyone can afford Care Management she helps connect them with entitlements, county programs and other resources to help manage their care. Laurel has also volunteered her time leading family support groups and teaching classes for the Alzheimer’s Association in Marin. She also has performed cognitive evaluations and taught free workshops at Whistlestop in San Rafael. She has given professional talks for the Aging Life Care Association and the Professional Fiduciaries Association of California. Laurel is an Advanced Professional member of the Association of Aging Life Care (ALCA) and is certified as a Geriatric Care Manager with the National Academy of Certified Care Managers (NACCM). She is a Dementia Care Specialist with the Alzheimer’s Foundation of America and is a trainer for the California Coalition for Compassionate Care on the POLST directive (Physician Orders for Life Sustaining Treatment). Laurel’s business model is a solo practice which means Laurel is the primary Care Manager for all of her clients. When you call Etheridge Care Management you will talk with Laurel. She does all of her own intake and consultations, assessments and care plans. Part-time care managers help provide continuity and back-up with routine home visits, medical appointments, and other functions. Etheridge Care Management does not employ caregivers but rather works with the best local agencies to provide care. Laurel will work with private caregivers if they are already in place and will only refer private caregivers she knows well and has worked with personally. In addition to her clinical expertise Laurel thoroughly understands the eldercare “system”, and can quickly identify the best resources available, explain how things work, who pays for what, and what benefits and entitlements you may qualify for often saving you time and money in the first visit. She has expertise in entitlements such as Medi-Cal and the Veteran’s Aid and Attendant’s Pension.